It may be an old adage, but it’s still true that you shouldn’t judge a book by its cover. Nonetheless, people often do make judgments based on appearances, especially when they’re looking at a product on which they’ll potentially be spending their hard-earned money. 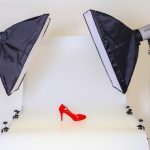 The photographs you select for your products will play a significant role in determining your sales figures, and knowing a few tricks of the trade can go a long way towards increasing conversion rates. Here are a few easily institutable product photography tips. You have a camera, but did you remember a tripod? You’ll also need a white surface, a white background, and white foam bounce cards (to reflect light). Don’t neglect to spend some time picking the ideal room. Finding the right setting with an effective source of light is key to taking a good shot. Images don’t look good when you enlarge them. That means when you initially shoot your photo, you should be shooting as large as your camera allows. Bring it down to a reasonable size in the editing process. When the time comes, crop an image appropriately, then shrink it to dimensions that are suitable for your website. Shooting your images on a camera and lens that cost several thousand dollars is amazing but, unless you’re a professional photographer, it’s not necessary. It’s a myth that a photograph’s final output is determined solely, or even mostly, by the quality of the camera. There are a lot of choices you’re going to make in the process of taking your product photographs, and your selection of camera is but one of them. Lighting, exposure, stylistic choices, and what you decide to do in the editing process are all going to affect how your picture turns out. 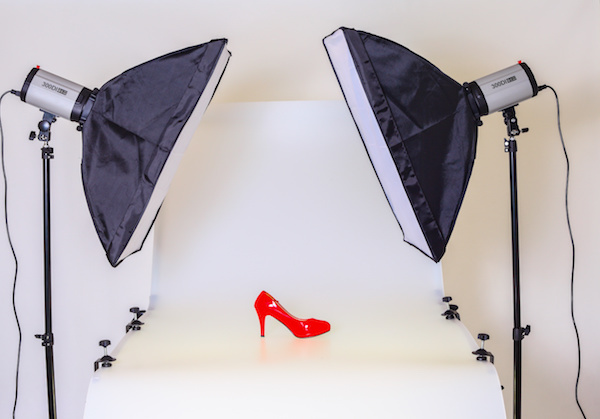 Depending on your budget, your abilities, your time constraints, and many other things, you may be outsourcing various facets of the product photography process. One thing we always recommend outsourcing is retouching. As it’s one of the final steps before showing your products off to the world, you don’t want to let quality slip up here. Also, it’s cheap–a few dollars per photo–and difficult to do perfectly unless you’re an expert. It’s just much more cost-efficient to outsource than to invest hours upon hours becoming a Photoshop magician. What product photography tips would you give to beginners? Share your advice in the comments below. Thanks. Your guidance and tips are important and we appreciate your efforts for sharing this great information. All the tips you have given are amazing. I think these tips will help you to get and give great product photographs for e-commerce companies.